We asked what prompted Josie and Madison to support White Ribbon? “Initially we both sat down with our Chaplain and explained our wish to help a cause. 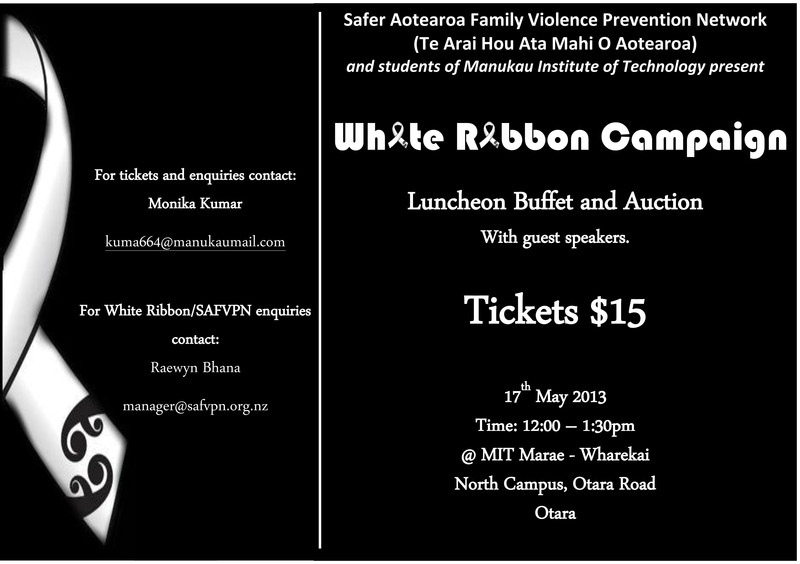 We found White Ribbon to be a valuable charity in New Zealand. It supports a cause that should not be an issue in New Zealand and yet unfortunately is. We hope to raise awareness for this cause and bring the issue to light in our community. As it seems to be a topic that people avoid as a conversation topic, we want to make people think about it and not avoid it. We’re going to be selling the white ribbons to our school and community with the support of the Z-Club that we are also in, and we have planned a mufti day in the third term with all proceeds going towards the charity. By doing these things we hope that women will realise that there is a support network for them, and hopefully they will feel encouraged to get help if they find themselves in an abusive relationship. On behalf of White Ribbon, we’d like to thank Josie, Madison and St Hilda’s Collegiate. We are supplying them with free ribbons which they are then selling to raise awareness and funds for the White Ribbon Trust.